Texas imposes a 6.25 percent state sales tax on the sale or rental of many goods and services. Cities and other local jurisdictions levy an additional 2 percent in local sales taxes. If a sales tax was not paid for the consumption, use or storage of goods, a use tax is collected at the same rate as the sales tax. Often, problems occur when businesses collect sales taxes but do not pay the sales taxes to the government. Instead, they use the funds for other business expenses. 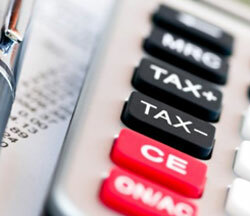 Sometimes, businesses do not collect taxes on sales when they should. Sometimes, business owners encounter sales tax problems if they do not keep good records of their transactions. These issues can cause significant problems for the operation of your business and for you. Sales taxes collected by business owners are considered held in trust for the state government. If you, as business owner, collect but fail to pay the sales and use tax to the government, the business owner can be held personally liable for the amount. Sales tax problems may show up during a state or IRS audit of a business' finances, just like failures to pay employment and sales tax. If you have a sales and use tax problem, or if your business is being audited, contact our law firm to schedule an initial appointment to find out how we can help you. Call us at 214-599-0431 or contact us online. Our tax, litigation and immigration law firm represents clients in the cities of Dallas, Highland Park, University Park, Plano, Richardson, Allen, McKinney, Arlington, Grand Prairie, Fort Worth, Grapevine, Colleyville, Carrollton, Denton, Flower Mound, Austin, Houston, Rowlett, Tyler, Fairview, Frisco, Garland, Duncanville, Rockwall, Grapevine, Euless, Kaufman, and the counties of Dallas County, Collin County, Tarrant County, Denton County, Smith County, Kaufman County, Harris County, Grayson County, Travis County, Williamson County, Hays County, and Rockwall County, all in Texas. © 2000-2019 by Coleman Jackson, P.C. All rights reserved.